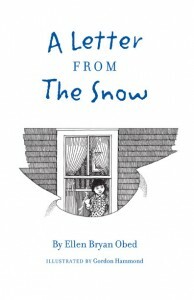 Ellen Bryan Obed is the author of eight books for children. Poetry, prose, fantasy and science, her books revel in nature and the northern seasons. They have received several awards including two Canadian Childrens Book Center, Our Choice Awards, the Maine Chapbook Award, and A Junior Library Guild Selection. One of her books, Borrowed Black, has been translated into seven languages, appeared in thirteen different editions, and has been produced for the stage by five different theatre companies since it was first published in 1979. ~ Laurie Carter, The Daily Courier, Kelowna, B.C. Skater illustration courtesy of Barbara McClintock, from Twelve Kinds of Ice.